my friend chiara is an incredibly talented comic-strip artist. 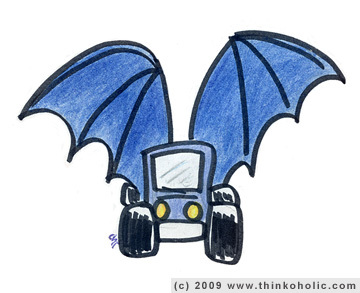 this drawing of my “bat taxi” was part of a thank-you card for a period of car-pooling (referring to the bat sticker on the back of my car, or to my bat-related activities. or both.). 400 g of solid, handmade, gelatine goodness!